Two-time world champion cyclist Shane Perkins has announced he’s in the process of switching sporting allegiance from his native Australia to ride for Russia at the Tokyo 2020 Olympics. After suffering the disappointment of being omitted from the Rio 2016 Australian cycling team, Perkins, who won the 2011 Keirin World Championship and 2012 Team Sprint Track World Championship, announced his plans to represent Team Russia in an attempt to compete in 2020. “The Russian Cycling Federation has given me another opportunity to chase my dreams of Olympic representation in Tokyo 2020 which has special significance to me as my father raced the Olympics in Tokyo 1964,” the 30-year-old said in a post to his social media accounts. “I’ve spoken to Cycling Australia’s High Performance Program and staff and they have been supportive. I’m grateful to Cycling Australia for the support that they have given me throughout my career, and I’ll continue to be involved whilst I’m home in Brisbane,” he added. The Russian Cycling Federation confirmed the plan for Perkins to obtain Russian citizenship in a statement, in which it said the acquisition of the rider was a “great honor” that would “strengthen” the team. 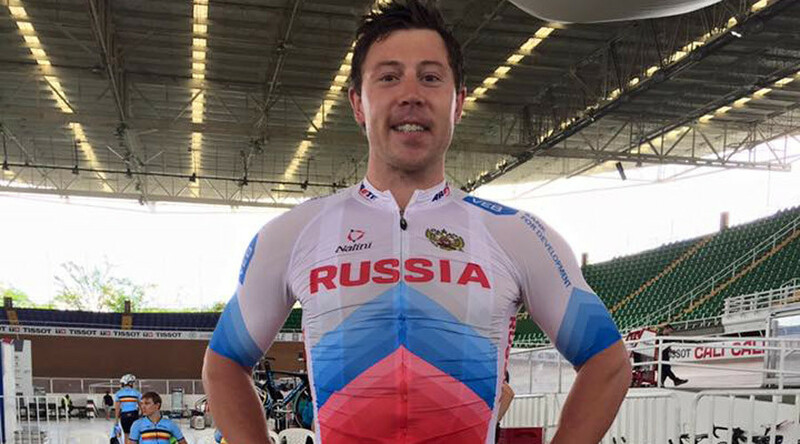 “The Russian Cycling Federation can confirm it intends to aid the switching of sporting nationality of two-time track cycling world champion Shane Perkins. The Russian Cycling Federation and the coaching staff of the national team believe the Australian sprinter will in the long term strengthen the Russian team at the 2020 Olympic Games in Tokyo,”the statement read. “The Federation confirms the intention to aid in every way Perkins’ obtaining Russian citizenship. It is a great honor for us that Shane wishes to represent our national team and reach great heights in our sprint squad in the 2020 Olympics. Now we must formulate all documents and details of this process correctly and legally. We have already begun to work in this direction,” it added. Perkins is currently in Cali, Colombia, preparing for this weekend’s Track Cycling World Cup where he will represent his International Trade Team ‘Dreamseeker’. He was effectively cut from the national elite track cycling program after losing his Australian Institute of Sport scholarship in 2015, according to the Sydney Morning Herald. The rider, who goes by the name ‘Perko’ and competes out of the Carnegie Caulfield CC in his hometown Melbourne, won sprint bronze in the 2012 London Olympics in addition to his two world championships. He is also a Commonwealth gold medalist and is Australia’s reigning keirin champion. However, Perkins’ position may not just be a case of wanting to repeat history; his move could be strategic, too. Riding in Tokyo in the keirin – a discipline in which cyclists compete well past conventional retirement age and earn huge sums of money in Japan – would raise the rider’s profile and could broker a lucrative career move.